offers live, molluscan shellfish from a display tank. 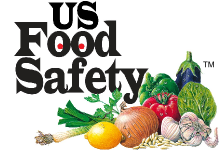 Why US Food Safety Corporation? US Food Safety Corporation's comprehensive HACCP course is taught by experienced food industry professionals who are certified instructors. HACCP is designed for use in all segments of the food industry from growing, harvesting, processing, manufacturing, distributing, and merchandising to preparing food for consumption. An optional HACCP certification test is available. We know your time is valuable, that’s why US Food Safety offers a one-day intensive HACCP course for $595. Check-in begins at 8:30am. Classes start at 8:45am and end at approximatley 5:00pm. Contact US Food Safety to sign-up for HACCP Manager training.